My Russian translator, Maddie, just started her own blog. 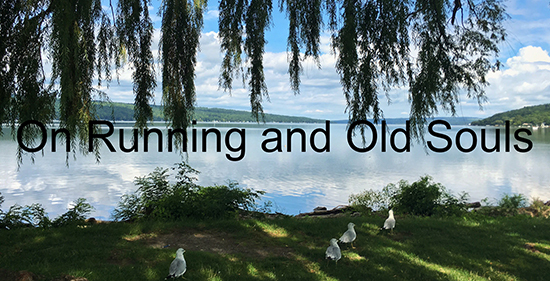 So if you like to read about running, but get slightly queazy every time I post something, then take a look. You won't regret it! Reading her blog made me think back to when I first started running. I wrote about it here, and probably elsewhere. But I actually ran even before that. When I was... 11? It doesn't matter, it was a million years ago. 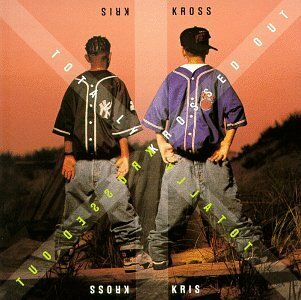 When I was really young, I would run around the block at home and listen to Kris Kross on my Sony Walkman. Yes, that was a thing that played tapes. Tapes. Nowadays you can just tell your phone, "Play me music, phone!" And it'll probably do it. If I asked my phone to play Kris Kross, it would say, "dang your old." Maybe they're still around. I don't know. It was about a mile, the run. Although as a kid it was a long distance. I think mostly I wanted to have an excuse to use my Walkman. Actually, I listened to a lot of rap as a kid. I had no clue what any of the songs were about. I just liked that they rhymed. In retrospect a lot of the songs were.... not good for kids. Most of the stuff had "parental advisory" stickers on it. My dad didn't care. He got me whatever would shut me up. Although, thinking about it now, it probably pained him. Seeing as he was a musician with a Double Masters from the Moscow Conservatory of Music. And I was asking him to get me stuff that was basically a guy rapping about killin' and pillagin' over some borrowed beats. Shrug. I went to one of his baroque concerts recently. I'm hoping that made up for a childhood of me being a $hithead. When I was in high school, one of my gym teachers said I should do track. I don't think it was because I was fast. It's just that I was the only kid in gym who actually ran when he told us to run. The other kids had friends, so they would walk together and talk about.... rap music maybe? I had no friends so I would just run in circles. I didn't join track, because I didn't want to miss my soaps after school. No I'm serious. I would go home after school and watch soap operas. It was the only thing that was on at 3pm, and I got totally swept up with all the crazy drama. "She has how many babies with how many dudes now? How does she maintain her figure?!" In retrospect I wish I had joined track. Or done anything in school really. "You mean I could just do a LOT more of this?" In my early twenties I had a 5 mile loop with one big hill I did. This was at a time when you had to measure distances with a map and a piece of string. I didn't stick with it for very long. I think without counting calories and tracking my runs with a watch, it's hard for me to give a $hit. Interestingly, I've run that same loop, or overlapped it, many times since. The hill in the middle is really steep, but I can smash my way up it without much issue. I recall it being really hard when I was young. I'd be all winded and stumbly by the time I got to the top. So that's cool. And then for most of my 20's I got really fat and lazy and did almost nothing other than sporadic weight-lifting. Without the structure of school, I just dissolved into a pile of over-indulgent laziness. "You mean I can do anything I want?! Booze and snacks please!" "Screw future me. This looks awesome now." And then after I turned 30 I turned all that around. But I've mostly documented that elsewhere in this blog at this point. When I was young, I didn't really get the idea of fitness or health or anything. Running was just a thing you did because you weren't good at like soccer. I started lifting weights in college right around when I turned 19. I knew that would make me look less scrawny, so that was like a visible benefit. But I was still blessed with youthful metabolism, so I didn't "get" running at that point either. Now that I count calories, running isn't necessary for me to lose weight. I wasn't running for the first 3 months that I started counting calories and I still lost about 30 pounds in that time. Running does let me eat more, which is fun, but that's a double edged sword. Before I quit drinking, running would actually cause me to drink more. After I quit drinking, running made me eat too much ice cream. And yet I can't imagine not running anymore. It's meditative. Throughout my entire life I never had a sense of purpose or direction. I think you can tell that from the story above. Running is a thing I always do. It gives me meaning. It gives me a goal. It gives me a sense of power, control, structure, and accomplishment. And at this point, I can't imagine quitting. Because I can look at the story above. I can look at the aimless loser I was as a kid. The meandering overweight 20-something. And all the other struggles in between. It immediately reminds me why I run. Why I need to run. If I don't run, I don't have an excuse to wear a kilt! !